BLOG:: OOAK Artisan Showcase: OOAK Artisan Showcase is baaaccck! OOAK Artisan Showcase is baaaccck! Back in 2012 I created OOAK* Artisan Showcase. I began with a Facebook ID where my mission was to motivate, encourage and promote other artists, or artisans. There were NO strings attached. I just shared new faces, designs and art. Back in 2012 most of the artists I promoted were jewelry designers. But it was open to any artist or artisan because I consider "art" to be anything that a person produces in their own creative time. Things were moving along. But then, after my sister's passing, OOAK Artisan Showcase was put on the back burner. Well, I'm bringing it's back! NOW in addition to promoting my artist friends on Facebook, I am also going to be promoting on Instagram, Twitter, Pinterest and our own blog (here!). PLUS, now that I have a gallery space (see more about my gallery) I am working on plans to bring artists' work to our new gallery! Periodically issuing a call for artists, a chance for you to have your work displayed in a solo month-long exhibit. We promote the artists through mailings, social media and press releases in local newspapers. We are looking for artists/artisans in ALL mediums. To sign up to be promoted all you have to do is complete the form below. 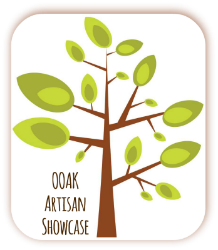 If you already are signed up with OOAK Artisan Showcase, please complete the form below to ensure our files are up-to-date. Having this information will allow us to promote your art more effectively!